Knowing you are different but not understanding why can create an enormous amount of stress on an individual. 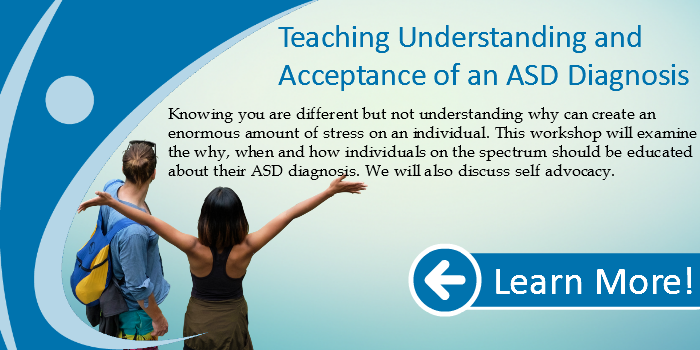 This workshop will examine the why, when and how individuals on the spectrum should be educated about their ASD diagnosis. We will also discuss self advocacy.